I am taught to hate sin in myself and in others while loving God and my neighbour for God's sake. Would it not be more Christian, should we have some reason to believe that someone is a bit hypocritical or a bit of a Pharisee to pray that the Lord Jesus might grant to that servant of His the virtue of humility? Further, I would urge caution on anyone believing he knows the hearts of others merely by judging their external actions. For example, a priest or bishop who urges fidelity to the customs and disciplines of the Church need not be dubbed a hypocrite or a Pharisee, simply because he is faithful to the Church in small matters as well as in great. It would be a bit lazy, shallow and cheap to deduce the heart of a man by such things as fidelity to say, canon law. For wishing for a person we dislike to fall into sin is to wish the very worst evil upon our neighbour. What if, because of his sin, the individual's heart is hardened against God and he fails to repent? Bad as it is, it would be better to wish upon a person some kind of bodily illness than to wish our neighbour to imperil his immortal soul. We do not need to 'take a good fall' in order to grow in humility. I would have thought, too, that it is not God but the Devil who puts banana skins in our way. Just how Christian does this sound? X is really (insert annoying habit here). I pray to You, O Lord, that he might (insert mortal or venial sin here) and learn from this experience his own weakness, so that he might trust in You and become more (insert virtue here). We need only examine our consciences and humble ourselves before God. We do not need to embrace a big juicy sin to grow in holiness or become humble, even if Confession humbles the soul that humbles herself. 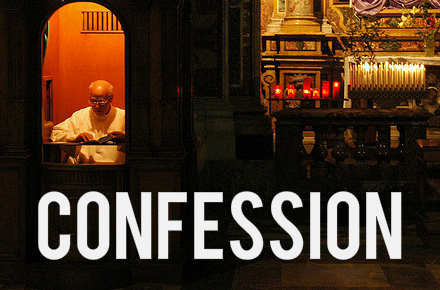 We need regularly Confession anyway as both a remedy for sin and to grow in love of God, to fight the good fight. Just as it appears on paper, far from being a Christian remark, it is the very opposite of one, and, I have to say, Pope Francis today gives us a homily that puts to the test the charity of those in his spiritual care - myself included. We all think uncharitable things of others of course and His Holiness thankfully says, before he retells the anecdote, "I confess something to you." Therefore, we must assume this is a train of thought of which His Holiness is not proud. In charity, then, let us restate what we are actually taught about the love of neighbour. 333. What rule of life must we follow if we hope to be saved? With this in mind, then, I hope that when Christ comes to judge His Holiness either at his death or at the Lord's glorious Second Coming, that the venerable Popes ranked among the Saints who upheld centuries of Church discipline with regard to the Eucharistic fast exercise more clemency to Your Holiness than you have exercised today towards them. 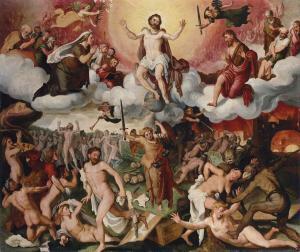 For when Christ comes, He will come with His Saints, among whom will be Popes, who will judge the world. Know you not that the saints shall judge this world? It is surely not wise for any Bishop or Pope to pour scorn on his faithful and loyal predecessors who simply transmitted that which they received with regard to faith and morals for the good of the salvation of souls. It is not wise to disparage those who uphold the teachings and disciplines of the Church for behind each is sound theology and reasoning. Many Popes are Saints on the other side of the veil. Far from wishing to place "a heavy Cross" on their spiritual children, they desired that our reverence for the Eucharistic Lord may be maintained by hungering for Him, or has the sound reasoning behind the Eucharistic fast never been understood by this Pope? Does His Holiness believe the Popes just wanted to punish the Church's children with a "heavy Cross" on a Sunday morning? To say such would be a grave misrepresentation of the motives of these Chief Shepherds. To appear in the Court of Heaven and to find you have made, instead of friends, enemies of the Saints of God is a pretty daunting thing, as if Death and Judgment were not daunting enough as it is! Therefore Your Holiness, surely any Christian would advise caution in this regard. If only we could comprehend what Holy Communion truly is, if our spiritual eyes could penetrate through that glass we now see through but darkly, there is no Cross we would not bear happily in order to taste the Bread of Heaven, the Food of Life, Our Eucharistic Lord. Sorry if anyone is shocked by this blog post. I am genuinely appalled by what His Holiness has said today. We do nobody any favours by pretending it has not been said. Pope St Pius X: "Did I just hear someone call me a Pharisee?" There is a legend, perhaps a 'popular myth' concerning Henry VIII's deathbed, that the Tudor king saw a vision of monks he had had executed and reacted with fright towards seeing them awaiting his death. The king “was afflicted with visionary horrors at the hour of his departure; for that he glanced with rolling eyes and looks of wild import towards the darker recesses of his chamber, muttering, ‘Monks - monks!" All you holy, blessed and canonized Popes. 'Its time is almost up, its days will not last long. What exactly has the Pope said,? You express your offense but I have no idea what has caused it except it has something to do with fruit and the Pope. And didn't St Paul exhort the Christians of Corinth to hand one of their brethren "over to Satan for the destruction of the flesh" 1Cor 4:5? And I know an old Redemptorist prayer to Our Lady pleading for the salvation of a sinner at any cost even if it means they fall into mortal sin. Handing someone over to Satan (excommunication basically) or praying that you don't mind if someone you love falls into mortal sin if ultimately it means they know salvation... seem far worse and wishing someone a "banana skin", yet they are a goodly part of our heritage. I think it is called "tough love". No-one died of hunger and thirst fasting once a week before Holy Communion. Rather, it was a discipline which concentrated the mind on the importance of the Sacrament. I don't know what's with all this sentimentality over the 'poor people.' It seems Francis thinks the only person with an IQ in the Catholic Church is himself. Like you, I'm not particularly bothered by the banana peel wish itself. Many converts and reverts, including myself, had to hit rock-bottom (in one sense or another) before we could turn ourselves back to Christ, and the banana peel stands as a metaphorical recognition of that fact. What is troubling is that Holy Father wishes the banana-peel treatment on people who engage in the "sin" of excessive rigidity, aka wanting to preserve the traditional teachings and practices of the Faith. And as so often occurs, you get the impression that he has some ... specific people in mind. For instance, it seems that someone might have placed a banana peel in the path of the former Prefect of the Supreme Tribunal of the Apostolic Signatura! It all leads one to wonder: Where else in today's Vatican might we look for strategically placed banana peels? Lawrence.He is an absolute nightmare to behold day after day after day!Really cant the cardinals get rid of this awfully bad pope?Our Lady of Fatima pray for us and intercede to stop this rot in its tracks.Philip johnson. I think that two things ought to be borne in mind when one is tempted to react to something Pope Francis has "said". The first is that he has been reported as saying several things which, it has subsequently transpired, he has not said. The recent report regarding the child distressed at the death of its pet is one instance of such which simply turned out never to have happened.The second is that he seems to use language in a somewhat elastic manner. He is not the first person to do this. In the Gospel it is clear that our blessed Lord did not always mean what he said literally. For example, He spoke of "hating" one's life, one's parents, one's brethren. Those were shocking sayings simply intended to emphasise a point. There was a clear contrast with other "shocking" sayings which WERE intended literally such as regarding the ban on divorce or concerning His real presence in the Eucharist. When language is used in this way it is the context that is all-important in showing what is really meant. Journalists looking for a soundbite are unlikely to key into such things- the result? A virtual Pope Francis somewhat tenuously related to the real one. Like the editor of this week’s Catholic Herald and many others of course, I find the Holy Father rather disconcerting. However, I tend to take the Voris approach of not actually directly criticising him if I can avoid it, although Voris has come pretty close on a couple of occasions. However on the basis of my secondary school RE certificate sometime in the fifties, I am prepared to be judgemental, as I was then taught it would be my duty as an ” educated” ?, Catholic to be. Mark you only objectively you understand. Now when I look and see the overtly sinful behaviour and sinful intent within the Catholic Church these days, not to mention outside, I have no wish to see any more. But what does annoy me is the extensive heretical Modernist movement at large these days in so many aspects of Catholic life all under the false and distorted sham of “mercy”. These are the hypocrites that Christ warned us about, who publicly uphold the law while using every subterfuge to encourage the denial of the law. They are the people that St Pius X and Pius IX and XI warned us about so specifically. And the answer is simple proclaim the law - but also practise the law. For example, when it comes to the Indissolubility of Marriage, declare that from the rooftops and explain clearly as the CCC does, that divorced and remarried people and active homosexuals not to mention oppressors of the workers, the greedy, the proud, contraceptors, casual Mass attenders, and so on, cannot receive Holy Communion without Confession and a firm purpose of amendment never to commit that sin again. One further thing for the record, re Murray. I grew up in a large family of six children while the full "fast from midnight" was in place and I do not ever remember being disconcerted or hearing anyone complain. I have since asked about this and no one else I asked does. We accepted it as a natural preparation to receive the Sacred Host. What I do remeber is how much we enjoyed breakfast afterwards, and my wife confirms this. The one hour fast is a travesty and a slight to the Body Bood Soul and Divinity of Christ under the outward appearance of bread and wine! I did some googling, and found (to my slight surprise) that water was forbidden in the pre-1957 Fast, excepting children, the aged, and the infirm. No doubt I am too soft, but forbidding water seems a bit harsh! Otherwise, I completely agree. I fast most days from around 10pm to 5pm the next day (except for coffee), and it doesn't cause me any problems at all. A return to the 3-hour fast would be greatly desirable, though. I hate to say this, but since I'm anonymous and the topic demands, I'll volunteer some things about myself: On Sundays, I observe a Eucharistic fast from midnight, and have done so for about 20 years. I am middle-aged, in fairly good health, and do not suffer from diabetes or hypoglycemia. During Lent, I fast...quite a bit more. I do not make my living from manual labor, but do hold a full-time job, as well as walk my dogs and perform routine chores and yard work in and around my home. I have been hungry but never fainted or felt unable to function. I will say that fasting increases one's appetite for any food, including Eucharistic Food, and am sure my hunger serves a good purpose when I consider that my next meal (for which I long) will be my Lord. The three hour fast would be a satisfactory compromise. That and a restoration of the altar rails would re-introduce the sense of the sacred, now completly absent in my parish at any rate in spite of a central tabernacle - mostly ignored . Incidently it would also give those who are in a state of Mortal Sin and should not be receiving Holy Communion a convenient excuse," Oh,I felt so faint this morning when I got up and just had to have something"
I suppose that is how it worked when only about 20/30% went to Communion? Actually, I do think I have read something about this, but could not put my hands on the books or quotes. It's actually quite profound, very deep. No-one knows the method in which the Lord would choose to bring a soul back to Himself. "...when I have seen a Christian, a Christian of that kind, with a weak heart, not firm, not fixed on the rock—Jesus – and with such rigidness on the outside..."
With regards to this part of the quote, I can see where the Pope is coming from when one considers some of the comments we had on the recent abortion posts. Pagans, atheists, Non-conformists and Christians aside, I do think we Catholics can be very judgemental of each other. Not so long ago, these types of attitudes would have kept a Catholic community, well, 'Catholic' in the sense that nobody would have wanted to shock the community with certain behaviour. This of course seems to have completely disappeared and seems to have given rise to Card Kasper's latest sinners/Communion spiel at the Family Synod. But, some gossiping tongues would have been absolutely vicious and done untold damage to people in the gossipers' so-called maintenance of the Faith. I think I can come across quite Puritanical with regards to sexual matters regarding Catholicism, but I have to agree with Jacobi at 21:15. I sometimes wonder why I bother going to Confession with all the toleration for practicing adulterers at Mass today. ...But, I do remember what my mother said about the Church before Vatican II and that was that the Church was so strict (or severe - perhaps this is what Bergoglio means) that a priest could have his reputation ruined just because he talked to a woman. Gossipers would be merciless. I think it still, in this instance at least, applies today but perhaps less so. (I remember St Faustina Kowalska lamenting in her diary the disastrous effects gossipers could have on some people's lives, even bringing about suicide.) Remember what Pope Francis said about gossipers. Sometimes I think you have to be of a certain age and have experienced Catholicism in such a way to know what the Pope is getting at. The problem is that it is going too far, this so-called mercy, leniency. I also think it would be good for souls to return to a 3hr fast before Communion. Look at the mess we're in now with the Blessed Sacrament, recent Synod notwithstanding. I'm not concerned about mistranslations, or things that were said in the past. This comment of Francis was very specific and may show the inner workings of his heart. We should not wish that on anyone. Let God take action, but we should not be praying for a person to fall into sin because we have no way of helping them out of it before death. Furthermore, we all sin too easily as it is, without n enemy praying for yet another failure. I, like you Laurence, am offended by this comment. Correction it should be correctly written "Peace to men of goodwill". Not "peace to all men." I must say frankly that I find it very difficult to make head or tail of this report by Vatican Radio of what the Pope is supposed to have said. What exactly is meant by the word 'negotiate' for instance? I find it best just to ignore most of these reported speeches by the Pope as they just confuse me as to what on earth they are about. There is so much good spiritual reading elsewhere. On the particular point of sin and humility. We all sin and examination of our consciences leading to recognition of our sins instils the humility we need when considering the conduct of others. We all sin so there is no need to wish that someone sins but rather we should wish that they too examine their consciences! Indeed to wish that somebody should sin is evil. "..But, I do remember what my mother said about the Church before Vatican II and that was that the Church was so strict (or severe - perhaps this is what Bergoglio means) that a priest could have his reputation ruined just because he talked to a woman." Damask Rose, I too have heard some things about the way the Church used to be that seem quite ridiculous in terms of severity - there probably was a Jansenist influence in many places. However, since I became a Catholic in 1987, I have never witnessed any of this personally. Laxity seems to be the universal norm these days. Maybe the Pope is still fighting against this Church of his childhood, but if so, he is a bit like Don Quixote tilting at windmills. He constantly takes potshots at these figments of his imagination which just don't exist anymore. Maybe he just sets up these straw men for rhetorical effect like Our Lord used hyperbole on occasion. OTOH he himself does take very severe action against those he disagrees with and is one of the best examples of an authoritarian dictator in the Church today. I rather think this "very heavy cross that was the Eucharistic fast" is one of these childish straw men. How often did people receive Holy Communion before the Council? If you are hungry before Mass there has always been the option of having a full English breakfast - and not receiving Holy Communion. The idea that people are forced to receive Holy Communion is just another childish straw man. The Pope is just a few years older than me, so he may have been just a young boy when I myself was a little girl. My point is, although he and I grew up in separate locations [he in Argentina, I in the Philippines], we may have had parallel experiences with Church disciplines when we were kids. 1. Girls were not allowed in the sanctuary, much less in the sacristy, which were male domains. 2. Girls may not touch any Eucharistic vessels. 3. Girls were to wear veils in the Church. 4. The required Eucharistic fast [no food or water from midnight on if you were to receive Communion at an early Mass], was no big deal. You'd be asleep most of your fasting hours anyway. 6. You must genuflect before the Blessed Sacrament before entering your pew. 7. Before leaving your house, you must kneel before your wardrobe mirror to make sure your skirt covers your knees. 8. Marylike dresses mean your neckline should be two fingers' thick up from your clavicle bone. And sleeves four inches up from your elbow. 8. Upon entering the Church, you must bless yourself with Holy Water and LOOK DOWN OR STRAIGHT AHEAD - AT THE TABERNACLE. It's called "CUSTORY OF THE EYES". Even if you knew you had friends nearby, it's enough that you acknowledge them with a nod and a modest smile, but not to wave or talk loudly or make facial signs, etc. Friendly matters can wait till after Mass. It's probably the exercise of "custody of the eyes" that turns off Novus Ordo people when they encounter Vetus Ordo goers at the TLM. They think [as the Pope seems also to think} that traditional Mass goers were rigid, unfriendly, narrow minders of "small minded rules" [whoa - and he, the Pope, minds BIG-mined rules? }, hypocrites, holier-than-thou's - when they are merely practicing "custody of the eyes." I've had enough of the Pope's constant scolding of traditionalists. I don't know exactly who he has in mind when he publicly gossips [using the homily as a gossip tool]attacks, and scolds people. He has always said it's bad to badmouth other people, but he does that with impunity. Who exactly are these people whom the Pope hates so much? Why doesn't he name names? What harm have they done to him that he's lowered himself to a point where he actually uses his pontificate to bash them? As I said this Pope and I are contemporaries, but he seems to have a bitter, putrifying grudge against people he knew as a child. And people who remind him of how the Church was before. I'm tired of this Pope. I almost wish he himself would step on a banana peel, as he wished other people would. But no. I should not wish him ill. I'll stay Catholic and just ignore his yakity-yak until he steps on it. You're on the wrong blog. Murray, the horrible thing about the banana peel quip is that the Pope voiced a desire that God would tempt someone to sin to "take a good fall and feel shame that they are sinners". In other words, he wanted God to tempt someone to sin. That's nothing short of blasphemy, to utter that kind of prayer to God, who wishes no one to sin. The Pope is 28 days older than I, so we are contemporaries. I totally agree with "Anonymous", who was a young girl in the Phillipines when the Pope was a boy. We fasted from midnight, yes, and I would sometimes get light-headed from not eating but it kept us focused on WHO we were about to receive. Now people chew gum and take the gum out of their mouths as they approach the (can't say rail as we have one but not used) person administering the /Blessed Sacrament. Please, please, Pope Francis don/t knock discipline. Discipline kept us focused on God. We are weak, yes, and that is why we need some rigidity and discipline. Without it we slip on the proverbial "banana peel" and become lax in our reverence towards God. Discipline is what keeps us firm and fixed on the "Rock". It is the lack of discipline that makes us weak and we rot as we become "flabby" in our Faith and learn an "anything goes" attitude. Fasting was NOT a cross it was simply something we had to do and it didn't bother us, it's just the way it was. That was true humility practiced by all, we simply did what we had to do and did not look upon it as a cross. I don't know how he picked up this attitude. We had a Mexican background not Argentinian, maybe they're more rebellious down there. Anonymous at 22:21, near contemporary of Pope Francis: thank you for your message. It shows that the Church that he is constantly berating was not the horror he describes. I can't imagine the Church being worse than it is today. Gossip, yes. It is everywhere you have people. And it is an easy topic to critique. Where is Francis criticizing the real evils of our days? He is not. Instead, he shows his scorn for anyone who would prefer a return to some semblance of control, of restraint, of silence and of actually thinking what the good God might want of us. The very people who are truly praying and working for the Church of which he is the head, he subdues and criticizes. I am so tired of being told about how horrible it was 'back in the bad old days'. And I pray for a return to a bit of that restraint and thoughtfulness.
" the Church was so strict (or severe"
I can remember a priest in Mauritius, in the early 1960s, saying he could not drive in his car with his sister for fear of giving scandal. But this is not a question of the Church being severe but a question of gossiping by ignorant people. I think this kind of idle gossip is more prevalent in unsophisticated societies and less so in our society where we have "The Archers" and "Neighbours" to assuage the the temptation to gossip! I can remember the pre VII church and generally it was great. Anonymous from the Philippines: Anyone who has been in the Army could draw up a similar list of do's and don't - indeed many professions have similar rules. It is all done to instil discipline and respect for authority. Children love it and it gives the adolescent something to kick against. I would suggest that 'custody of the eyes' is particularly useful these days in respect of certain confusing writings! I agree that it would be blasphemous for the Holy Father to pray for people to fall into grave sin in order to teach them a lesson. And after all we've seen if this papacy, it wouldn't surprise me if he did. But there is a plausible alternative interpretation, which is that the Holy Father is wishing for these (so-called) rigid, pharasaical to experience the consequences of their sin in order to bring them low enough to realize their need for repentance. As I alluded to above, I was only able to make the final steps into the Church after I slipped on a huge banana peel of my own making, and suffered through a major personal crisis lasting several months. I'm sure many others here have had similar experiences, or know people who have. How often do we look at someone steeped in a sinful lifestyle, and reflect with sadness that they'll probably have to fall a long way before they see the light? Now, reflecting on this is a lot different from actively wishing or upon someone, and certainly the pope goes too far in his gleeful anticipation of the fall. (Plus the minor fact that he's, you know, wishing this unpleasant experience on faithful, obedient Catholics!) But in the spirit of charity, I think it's a plausible reading of his remarks. "I would suggest that 'custody of the eyes' is particularly useful these days in respect of certain confusing writings!" Nicholas Bellord, what a great idea! Something I can use myself when reading about the Pope gets tough. It's hard to stop looking at the slow train wreck of Francis the Unclear's papacy, but it could be a step toward holiness if we occasionally abstain from reading all that could upset us about him. Thanks again and God bless! - I'll try harder. 2. Commandments of God: In the context of this blog/allegations of any kind - Have we told lies, rashly judged, falsely accused or calumniated agains the Holy Father and the Holy Catholic Church. 3. Precepts of the Church. 4. Capital sins:In the context of this blog/signs of pride and anger? Now we are ready for Confession! Rigid? Hypocritical? Weathervanes? Weak hearts? Dear Holy Father, who are you to judge? Did those homosexuals you previously refused to judge feel shame for their sins and repent? (Come to think of it, the Holy Father does not say that one should repent after feeling the shame). No, they didn't, infact they live in the same luxury hotel, none can disturb them, no swiss guards, no control, everyone can come and go, the hotel is in Italy, not in Vatican state where Popes don't live anymore in apostolic palaces. Merry Xmas to all, and a holy night for the Jesus baby yet to be born once again. God bless. Let's say we all are pharisees, and deserve the banana peel scourging, and let's receive it and offer it to Jesus for the Church. And let's smile! A banana peel scourging is rather funny! Amen and God bless you, JB!